With international standards and constant quality checks, the maritime industry does its utmost to protect its ships and crews from harm. But unfortunately, sometimes, despite the best efforts of all involved, things can go wrong. When a ship finds itself in difficulty, the ship owner or operator will call on the assistance of a professional Salvor to rescue the ship, crew and/or the cargo, all the while protecting the seas from pollution. Whether fire or shipwreck, grounding or collision, salvors provide essential services for the world’s maritime and insurance communities, offering marine casualty response, pollution defence, wreck removal, cargo recovery, towage and other related activities. 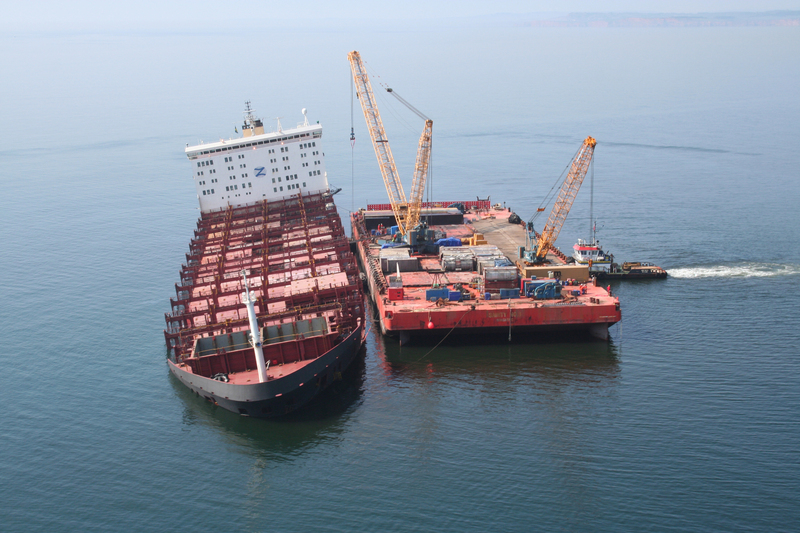 Salvors have a whole range of different specialist skills; they have to be very good seafarers and ship handlers, divers and engineers, and need to be familiar with a great deal of specialised equipment, such as tugs, floating cranes and pontoons, and underwater welding and cutting equipment. A quirk of the salvage industry is that it commonly uses a “no cure-no pay” contract, known as the Lloyd’s Open Form. Under this contract, the salvor receives a proportion of the “salved value” (the value of the ship, its bunkers and cargo), in return for salvage services. Historically, this has meant that if there was no recovery of the ship and/or the cargo then there was no payment. But in recent years as attitudes towards the environment have changed, this has been adapted and now the salvor can contract so that he is protected from loss when responding to high risk or low value casualties.